Tonight on Fox, their new series Shots Fired starts its first season. 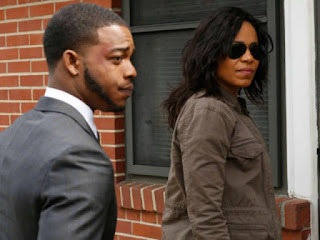 The series will air before Empire, a slot that has helped boost Rosewood and Lethal Weapon when they premiered in fall of 2015 and 2016, respectively. This season, Lethal Weapon has averaged a 1.6 in the slot, though many of those airings were without Empire. While the slot does not guarantee that Shots Fired will have a good premiere rating, it will likely help it. Do you think Shots Fired can be a breakout success or will it be a spectacular failure like many other midseason entries this season? Predict the Series Premiere Ratings for "Shots Fired".